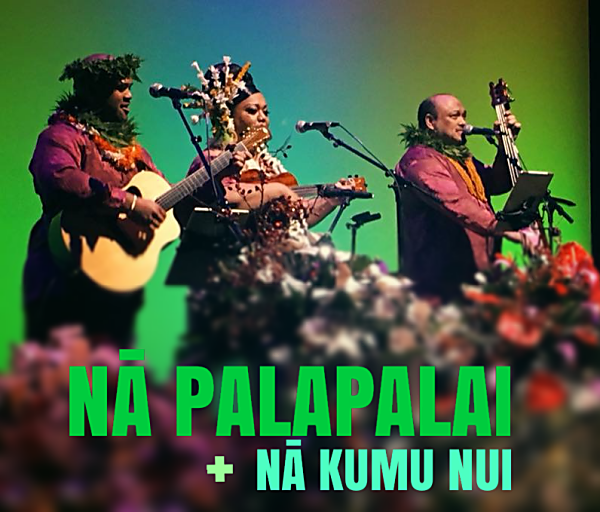 Hawaiian musician, vocalist, songwriter, dancer and educator Kuana Torres Kahele appears at the Hawaii Theatre Center to celebrate the reunion of the legendary group, Na Palapalai. He will host shows featuring Hawaiian musician, vocalists, and halau. Saturday night features some of Hawaii’s most respected and celebrated Kumu Hula performing solo to your favorite Na Palapalai hits from the past 25 years: Patrick Makuakane, Napua Greig, Nalani Keale, Kaleo Trinidad, Snowbird Bento, Leina’ala Jardin, Tony Conjugacion, Maelia Loebenstein Carter, Kapua Dalire Moe, Kailihiwa Vaughn, Raquel Dudoit, Iliahi and Haunani Parades, Taupouri Tangarou, Kekuhi Ohaililani and many more…. Sunday night features our living legends of Hula, the beloved Kumu Nui, in solo performances to the traditional classics of Hawaiian Music.